erica k. halley - Phillips Murrah P.C. Erica K. Halley represents individuals and businesses in a broad range of transactional matters. Q: What is the Bipartisan Budget Act of 2015 and why should LLCs and other partnerships pay attention? A: Effective this month, the Bipartisan Budget Act of 2015 changes how the Internal Revenue Service audits and assesses taxes of entities taxed as partnerships, including most limited liability companies. One such change includes replacing the “Tax Matters Partner” with the “Partnership Representative,” which is much more than a mere name modification. In essence, the act makes auditing partnerships easier and more efficient for the IRS, so understanding the weight of designating your Partnership Representative is critical in preparing for your company’s increased exposure to potential audits beginning this year. Q: What is the difference between the Tax Matters Partner and the Partnership Representative? A: There are two key differences between the Tax Matters Partner of the past and the Partnership Representative of the present and future. First, the Partnership Representative isn’t necessarily a partner (or member, in the case of an LLC) of the entity. Like a manager of an LLC, a Partnership Representative may be any person the company deems fit to serve in such role, who may or may not be an owner of the company. Second, the Partnership Representative has complete authority to act on behalf of the company when communicating with the IRS. Importantly, and unlike the laws previously in effect, there’s no statutory obligation to notify the partners or members of the existence or status of an audit, much less include them in any decisions that may significantly impact the tax treatment of the company. Q: What do businesses need to do to prepare for the change? A: The partners or members of a company will need to agree on the expectations they have for their Partnership Representative and the desired scope of his or her authority. Then, they should amend their company’s governing documents, such as their partnership agreement or operating agreement, accordingly. In addition to providing for the appointment, removal and replacement of the Partnership Representative, they also should consider demanding timely notice to each partner or member of all IRS communications. Other considerations include requiring the Partnership Representative to make certain elections on behalf of the entity, or obligating the Partnership Representative to use his or her best efforts. Companies also may want to add certain indemnification provisions that bind the Partnership Representative to his or her duties with respect to an audit. Finally, and essentially, they must designate their Partnership Representative on their entity’s return each year. As the IRS isn’t bound by any partnership or operating agreement, if a company fails to make the designation on the return, the IRS may select a company’s Partnership Representative for them. The two volumes “Commercial Lending Law, Second Edition: A Jurisdiction-by-Jurisdiction Guide to U.S. and Canadian Law” updated by Phillips Murrah attorneys pictured next to the previous edition. A group of Phillips Murrah attorneys contributed to updating and creating a new edition of “Commercial Lending Law, Second Edition: A Jurisdiction-by-Jurisdiction Guide to U.S. and Canadian Law,” published by the American Bar Association. The book is meant to be a resource for attorneys who help clients across different jurisdictions. “A lot of the law impacting commercial lending varies from state to state, sometimes significantly,” said J. Mark Lovelace, Phillips Murrah Director. “The two volumes have separate chapters on local law and practice recommendations for each state, the District of Columbia and Puerto Rico, plus a chapter for Quebec and a combined chapter for the other Canadian provinces. Each chapter follows the same format, he said. Most attorneys who represent commercial lenders will at least occasionally deal with the laws of other jurisdictions. Phillips Murrah’s attorneys were provided a template developed by Brian Hulse, with the Davis Write Tremaine Firm in Seattle, along with the other original editors of the book to update it for the new edition. The 2016 update on commercial lending law captures changes in relevant law and practice in Oklahoma, but more significantly covers numerous additional issues that the editors wanted to cover this time around, he said. “The 2009 chapter was our base, and Monica Ybarra provided research and a first draft on most of the new areas to be covered in the update,” Lovelace said. “John Hastie had contributed significant portions to the 2009 chapter, particularly on real estate lending and foreclosure law, and these required a relatively minor amount of updating. As a result, the new edition had contributions from attorneys at Phillips Murrah with experience ranging from one year to almost 50 years in practice, he said. For more information on “Commercial Lending Law, Second Edition: A Jurisdiction-by-Jurisdiction Guide to U.S. and Canadian Law” and how to purchase it, click here. 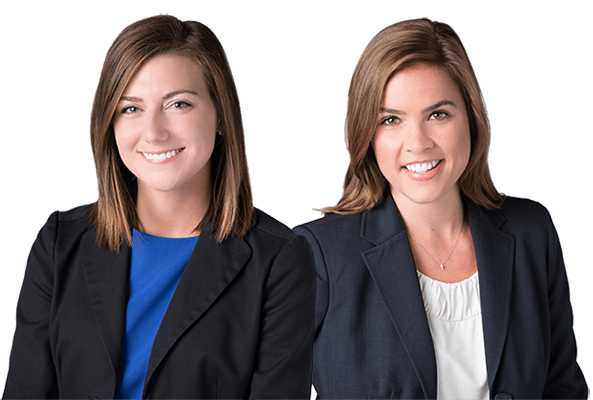 Erica K. Halley and Ashley M. Schovanec have joined the firm as associate attorneys. Erica K. Halley has joined Phillips Murrah’s Transactional Practice Group as an associate attorney. Halley represents individuals and businesses in a broad range of transactional matters. 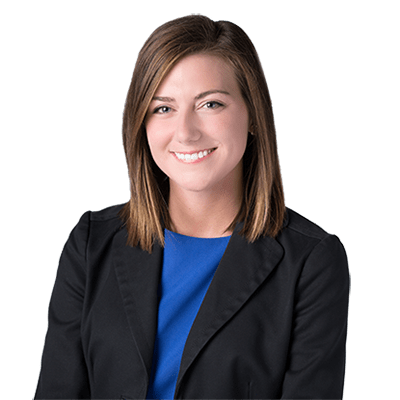 Phillips Murrah also welcomed Ashley M. Schovanec to the firm’s Litigation Practice Group as an associate attorney. Schovanec represents individuals and both privately-held and public companies in a wide range of civil litigation matters. Halley and Schovanec are recent graduates of the University of Oklahoma School of Law.